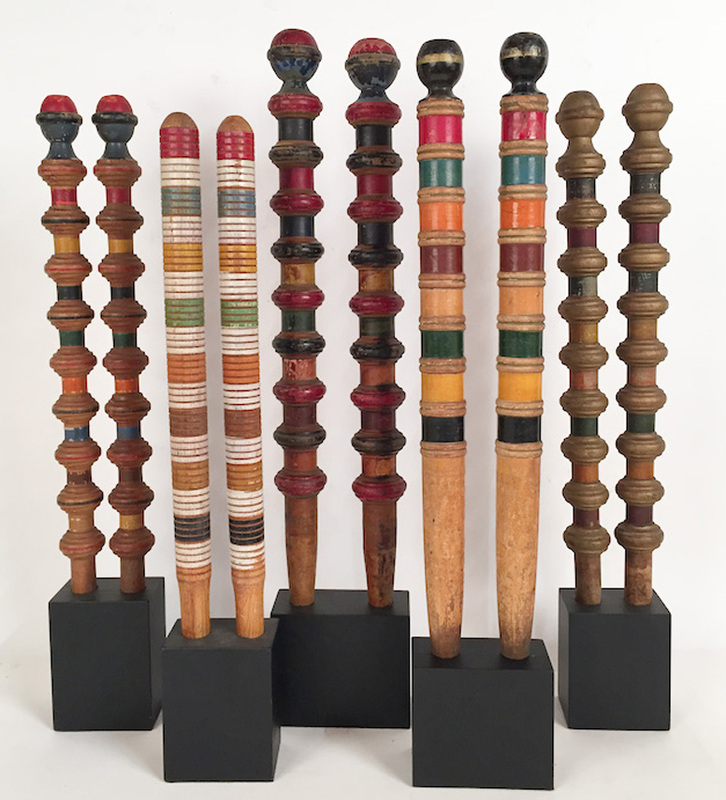 item-482 5 pairs of antique turned wood painted antique croquet posts. 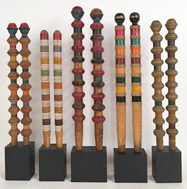 Each mounted in a custom solid wood base. 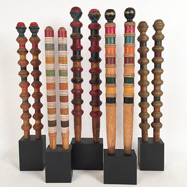 These posts in their bases range in height from 24" to 27 1/2" Price on request.